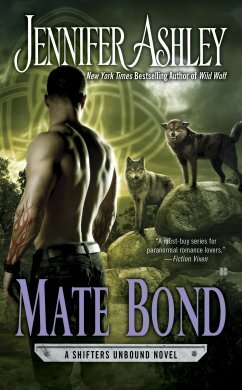 Want to win an advance reader copy of Mate Bond? Just leave your name and email in the comments (please disguise your email for your protection, leaving spaces–e.g., jenniferashley at cox dot net. I’ll take comments here or on Facebook until Wednesday the 11th, and pick winners! I have I think 10-12 to give away. These are proof pages (so they have typos), but it’s an advanced look at Mate Bond, which isn’t out until April!! Good luck! Love the series! Thanks for the giveaway. Really hope I win! More reading material is always a good thing! Thanks for the ARC giveaway. This would be so cool! Ramengrrl at gmail dot com. Thanks! Thanks for all the great hours of reading! Love this series, I have all your books!! Fabulous giveaway! I love this series. Thank’s for the chance. This is my favorite series and I love it!!! Would love to review for ya! I would love to win thanks for the awesome chance. This book is exactly the type I like. I look forward to reading and reviewing it. Better still if it is an A.R.C. Would love to win an ARc. Just discovered this series and it is AMAZING!